Hey friends, are you following us on Instagram and Pinterest? We update daily! Happy Monday! 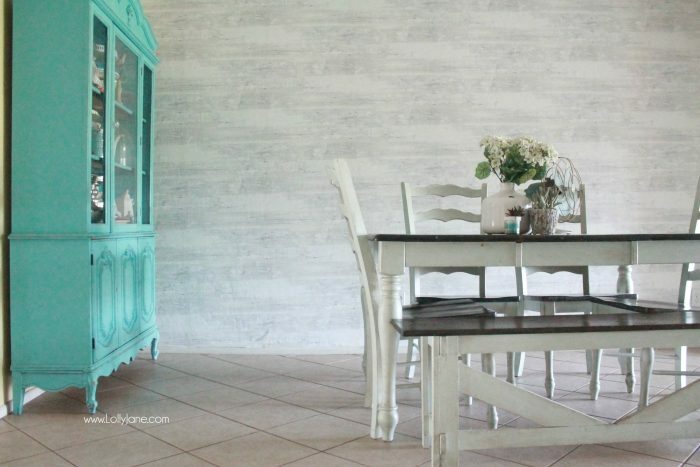 Don’t you love when you make simple changes in a room and it transforms the whole space? 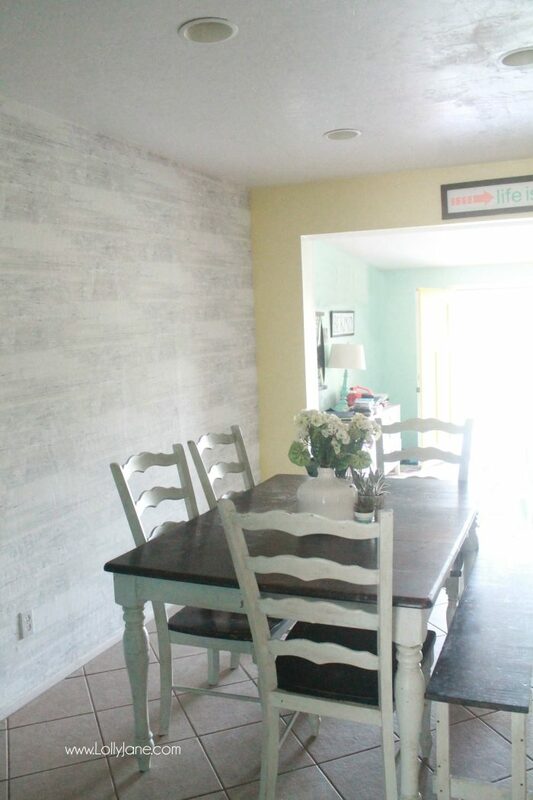 I wallpapered my dining room and can’t believe how much it brightened up the room! I’m loving it, what do you think?? 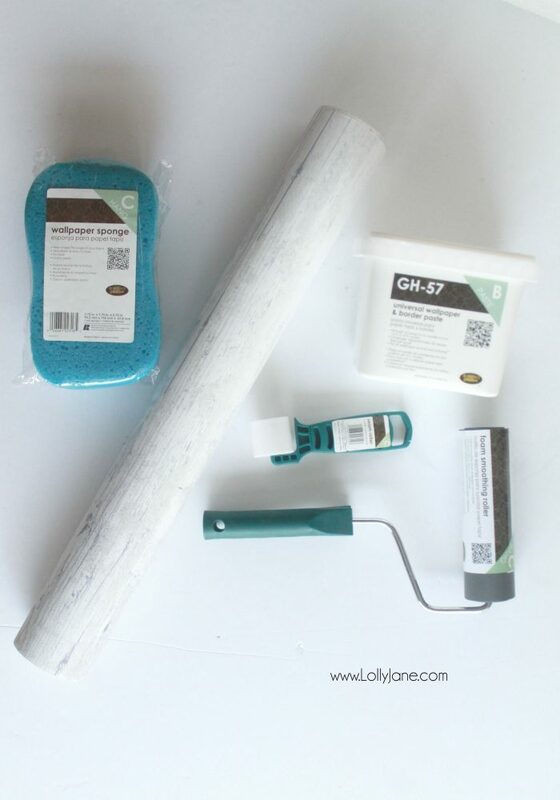 Here are similar products to what we used to help you shop quickly, we picked up ours at our local home improvement store: Wallpaper Glue, Smoothing Roller, Seam Roller, Wallpaper Sponge. And of course you’ll need good quality wallpaper. Instead of showing a step-by-step, head to WR for their easy install process. 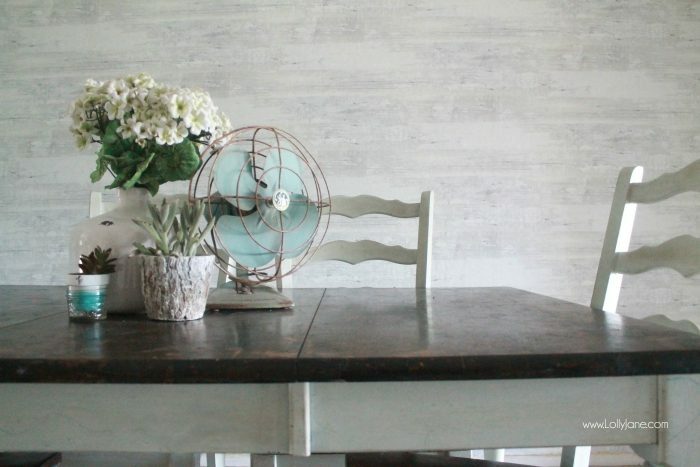 They share tips from prepping the wall to hanging the paper straight to cutting around outlets. We decided to replace the mirror with 8′ shelves and will move the aqua hutch into my craft room. I’ve shared some sneak peeks of the shelves on our Instagram feed, search ‘ljdiningroom’. 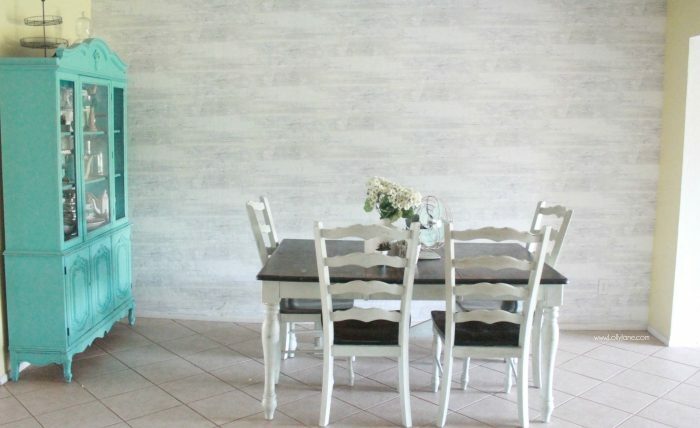 On my to-do-list is paint the yellow to white or gray to tone down the kitchen. Plus I greatly dislike my tile but until we can replace it, I’m on the hunt for a fun rug. You know how much I adore color, afterall! 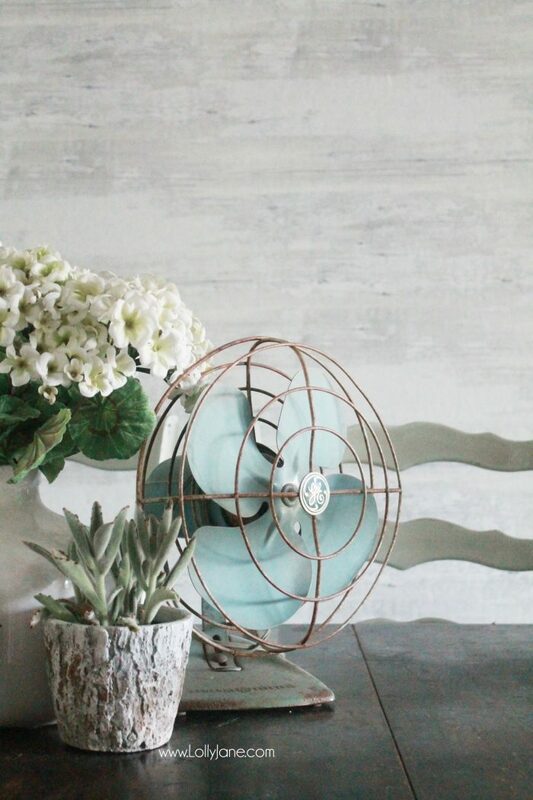 And I have the best aqua pendant lights on their way, so excited to get them installed. 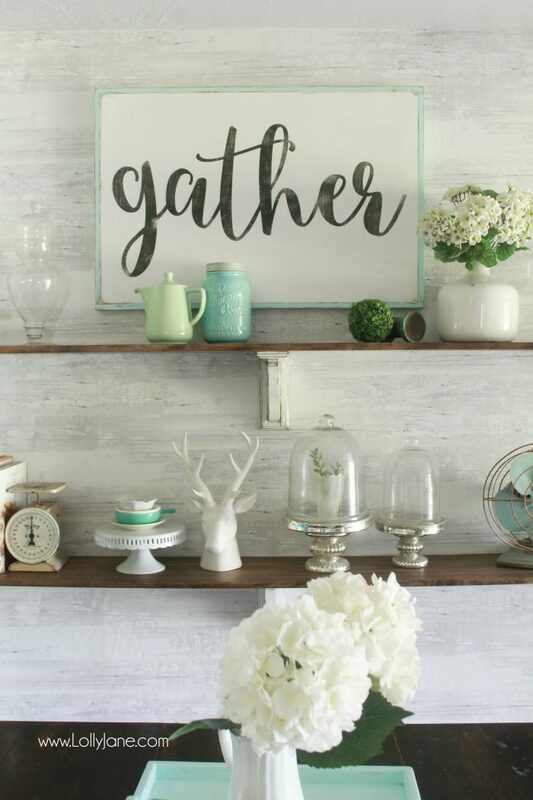 Then I’ll make a giant sign for the focal point of the shelves and then stage them to add more color and depth to the space. This room is going to look so different than the before, super excited! Thanks for supporting companies that keep LJ rockin’ and rollin’ with free tutorials! 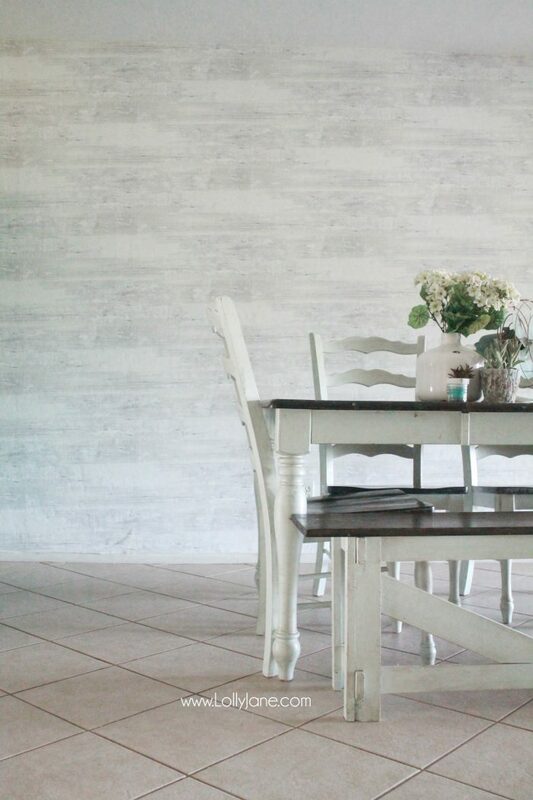 Big thanks to Walls Republic for providing wallpaper for my dining room + compensation for my time. Visit WR’s blog full of inspiration plus visit them on Facebook | Google+ | Twitter | Pinterest for their latest designs and patterns, a huge variety to choose from! And bonus for YOU: Use code LOLLYJANE for 10% off your purchase, whoop! 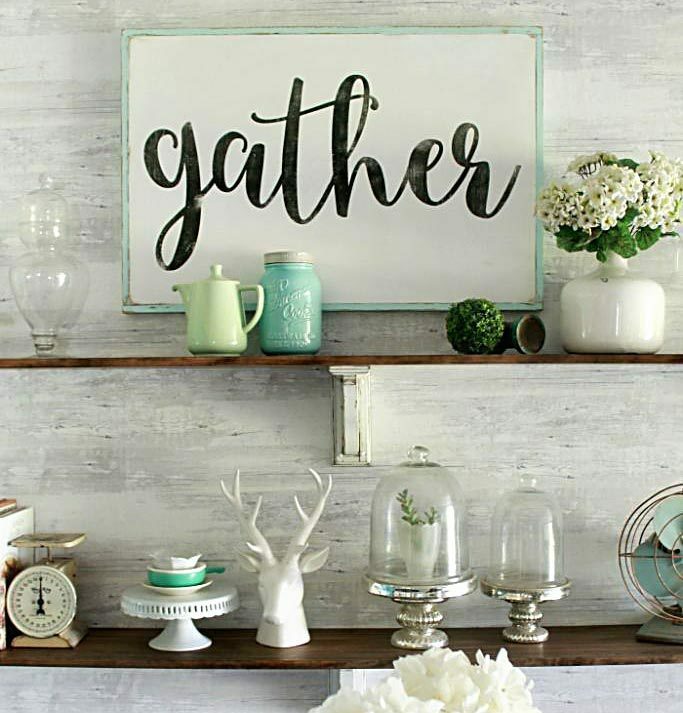 Update: here’s progress we’ve made in the room, just shared our easy DIY farmhouse shelves! Looks fabulous! What a transformation! 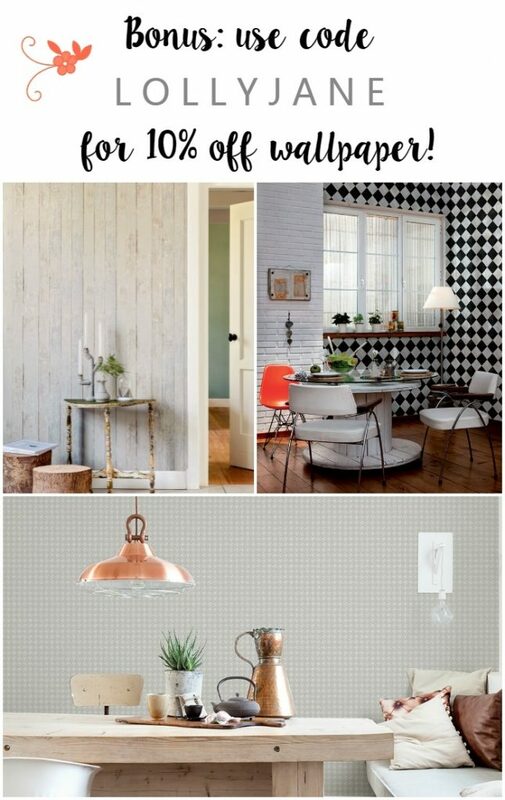 Such great quality, so fun to work with wallpaper! 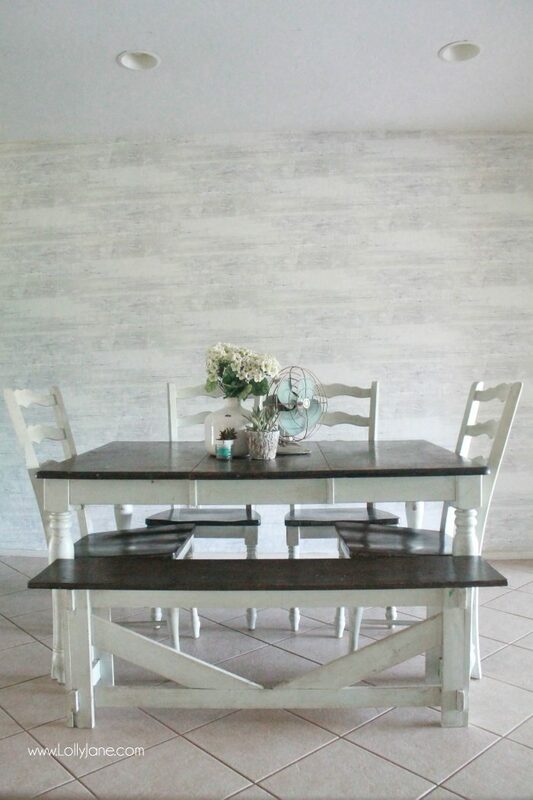 Oh my word, I just bought very similar wallpaper! I can’t wait to get it up, now seeing how great yours looks!